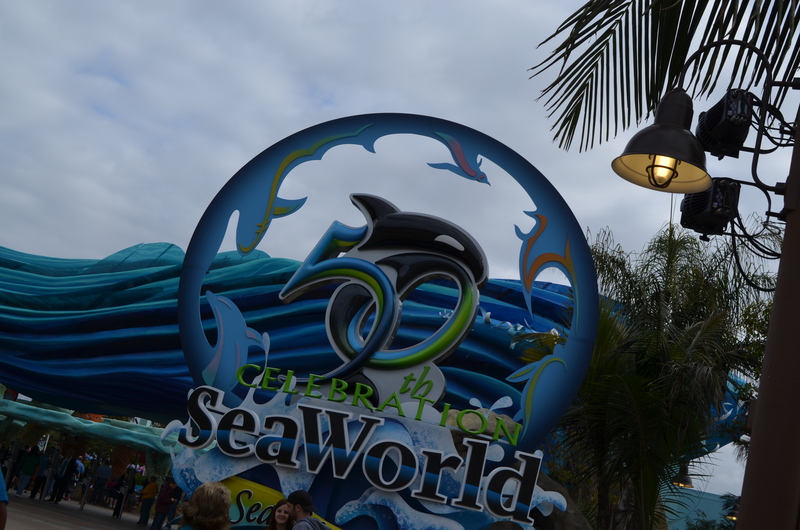 SeaWorld San Diego has now turned 50! 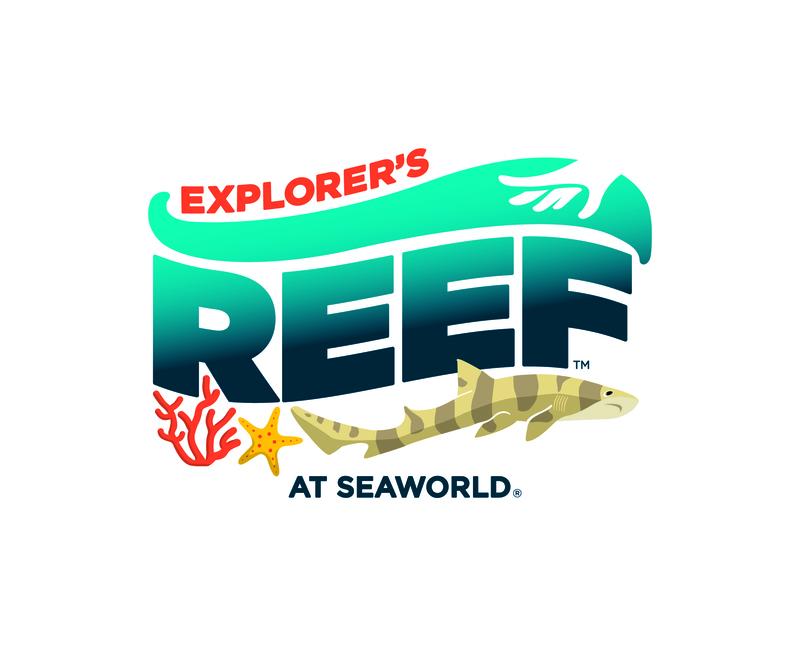 SeaWorld decided to completely redesign their entrance complex and it’s called Explorer’s Reef. 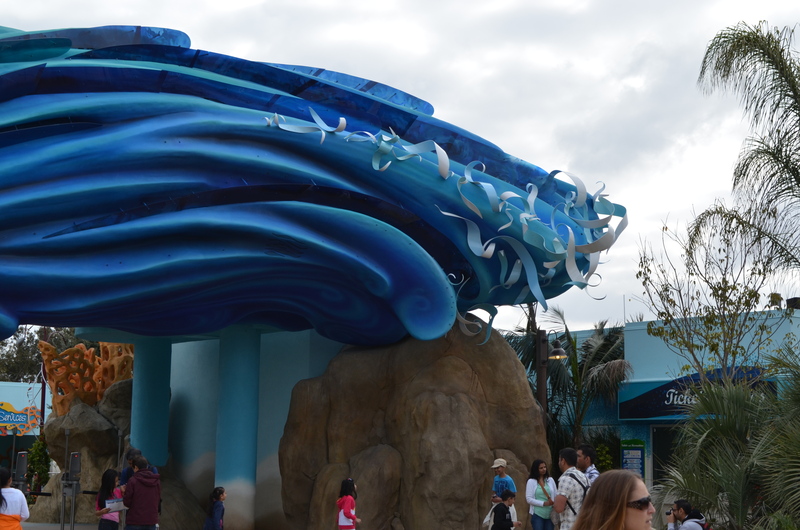 They built touch pools and a massive wave crashing over the turnstiles. 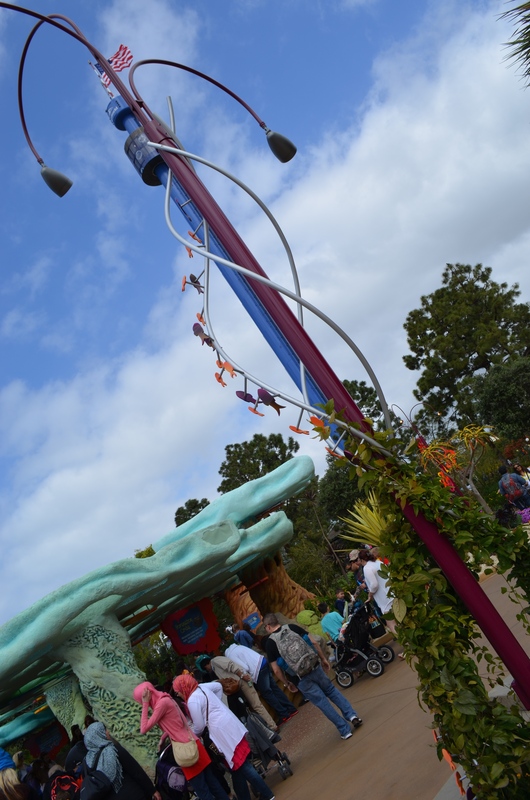 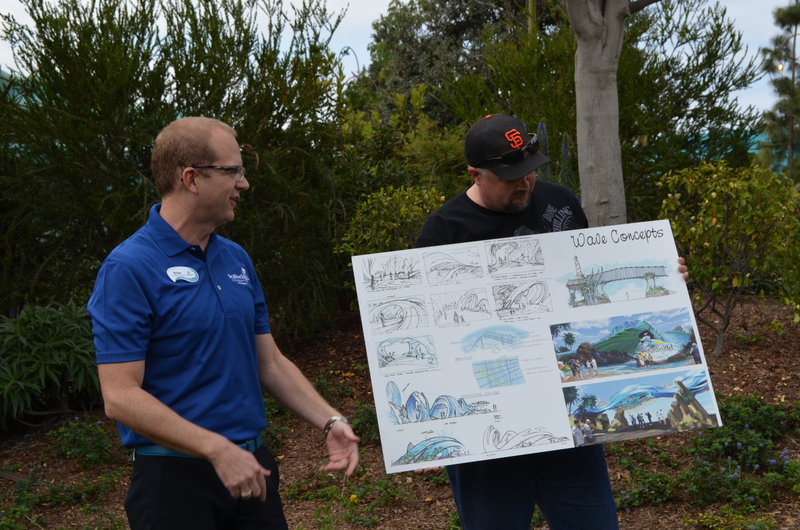 Brian Morrow, creative director of SeaWorld, was behind this fantastic project. 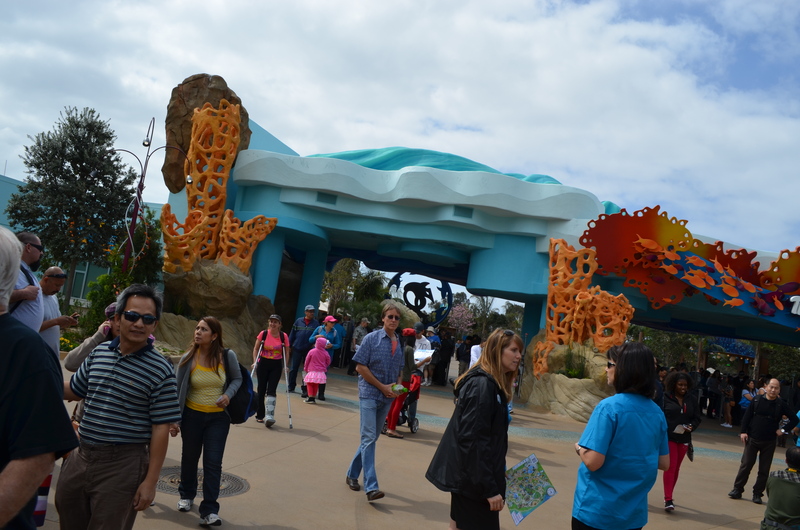 The entrance took about 13 months to build. 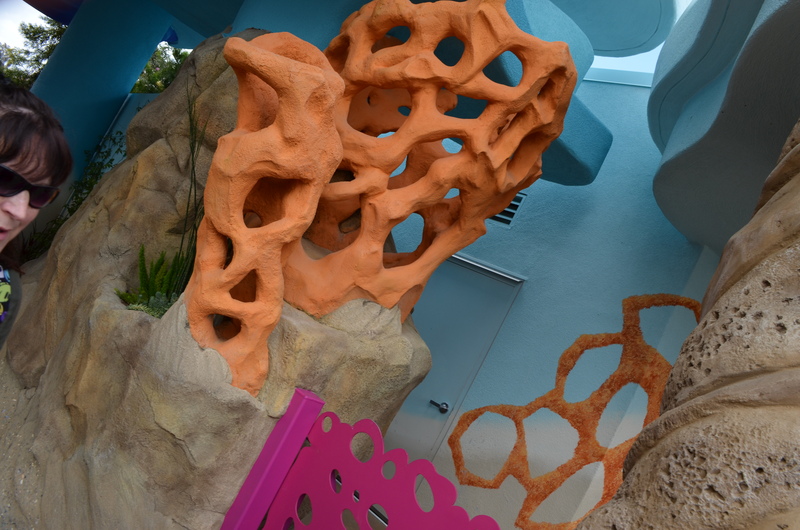 They repurposed some of the old buildings which are hidden by creating facades that resemble coral. 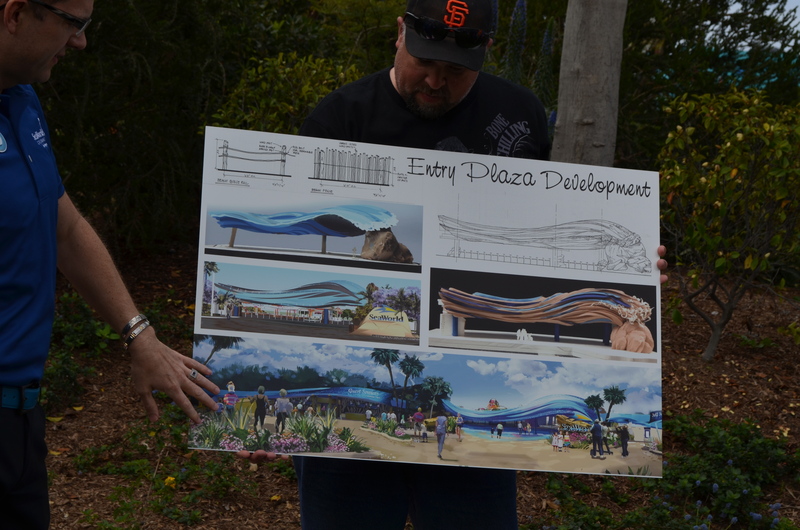 The project also created a very inviting plaza as guest plan out their day and purchase their tickets. 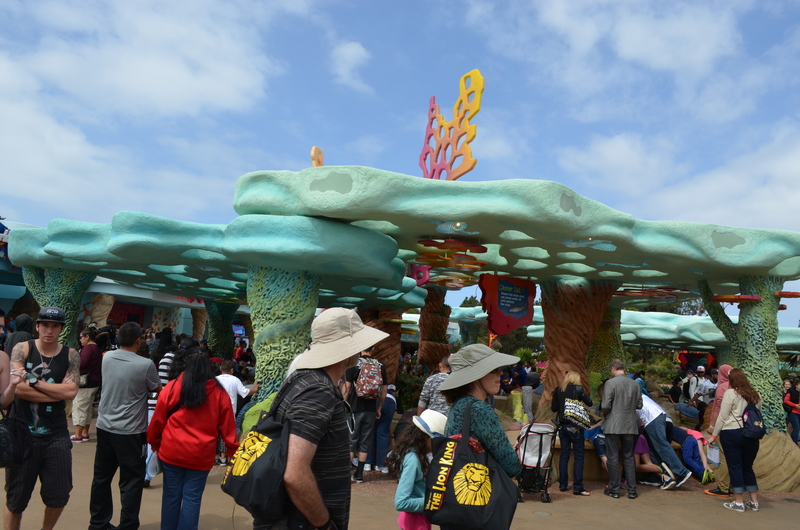 Brian Morrow’s design inspiration is to have guests on the beach before they enter the park, then as they walk through the turnstiles, they enter the ocean waters to explore the world of the sea. 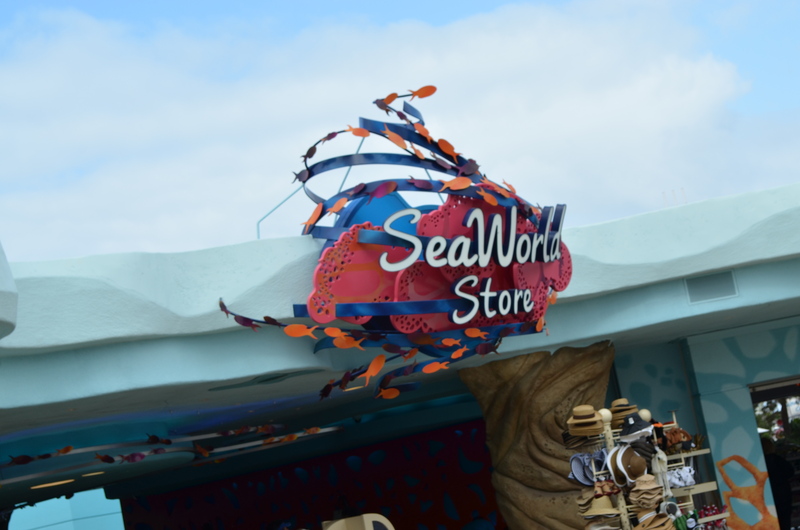 After the Sea of Surprises promotion is over, the SeaWorld logo will be placed here on a large rock. 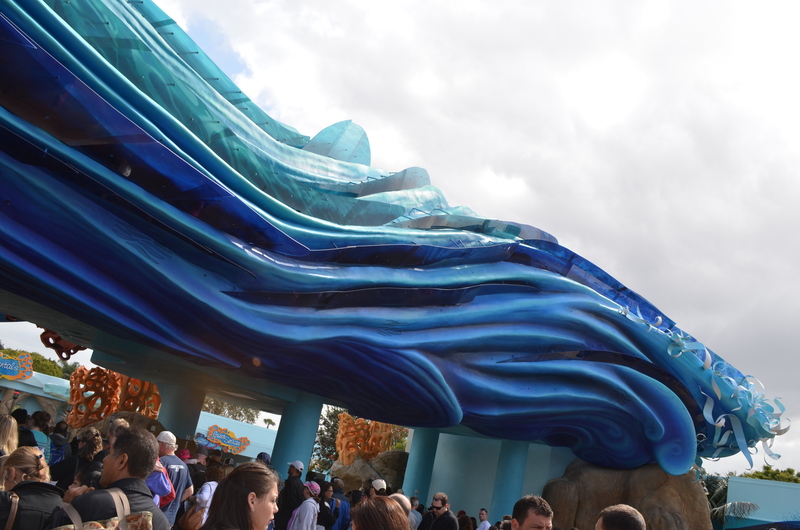 Every two minutes the wave crashes with lighting effects inside parts of the wave and LED lights on the right side. 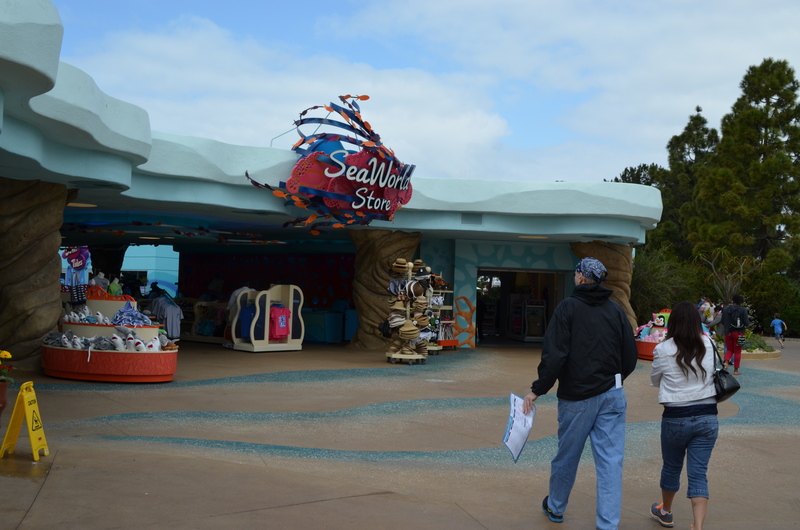 They expanded the SeaWorld Store by adding a covering that connects two of the original buildings. 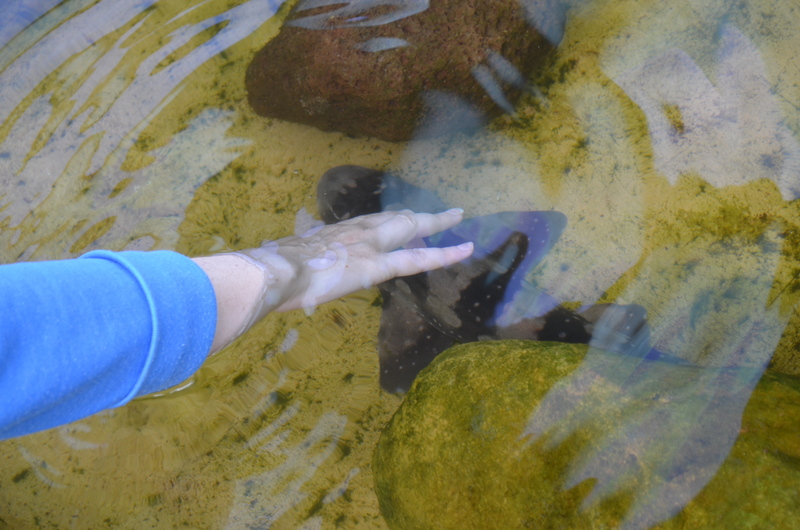 Inside the park there are many touch pools where guest can interact with bamboo sharks and cleaner fish. 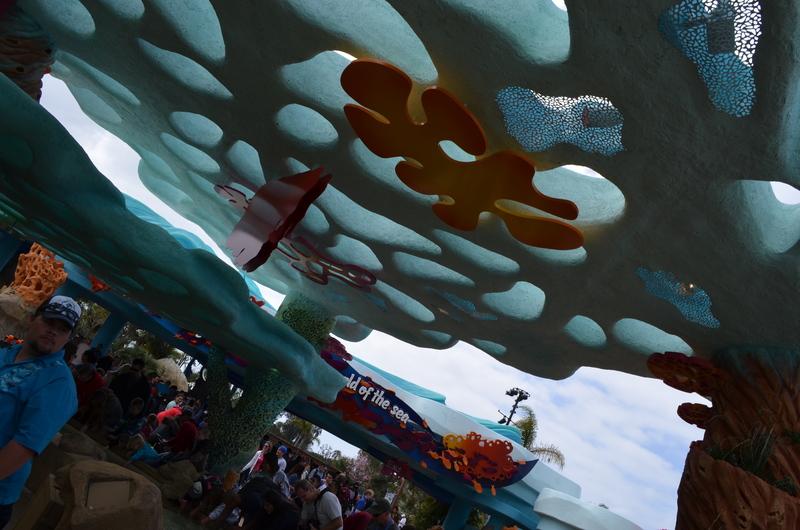 Coral canopies cover each of the pools providing shade and a location to disguise speakers and lights. 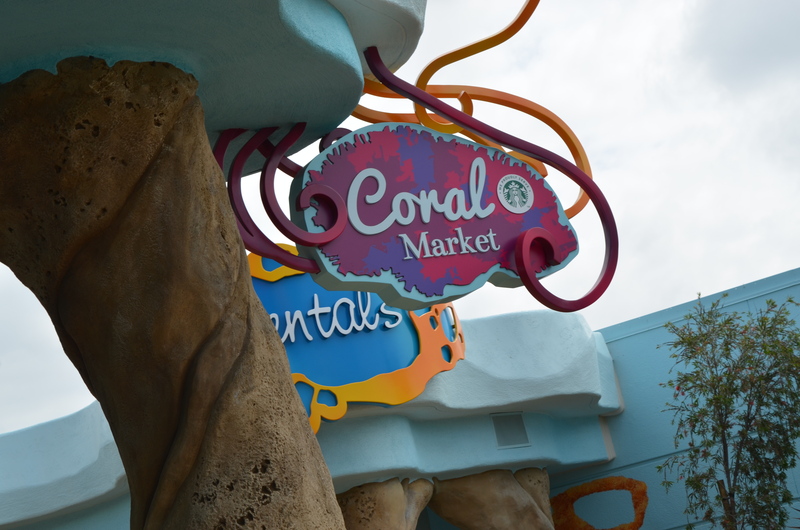 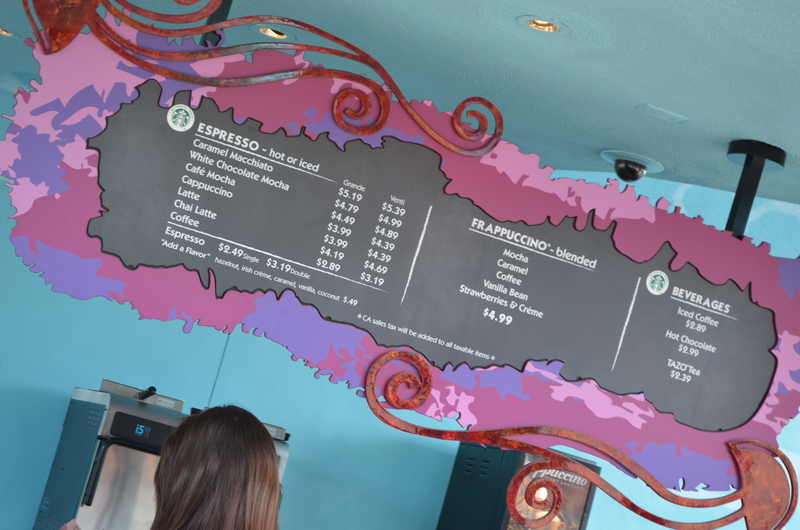 The Coral Market features a selected menu from Starbucks. 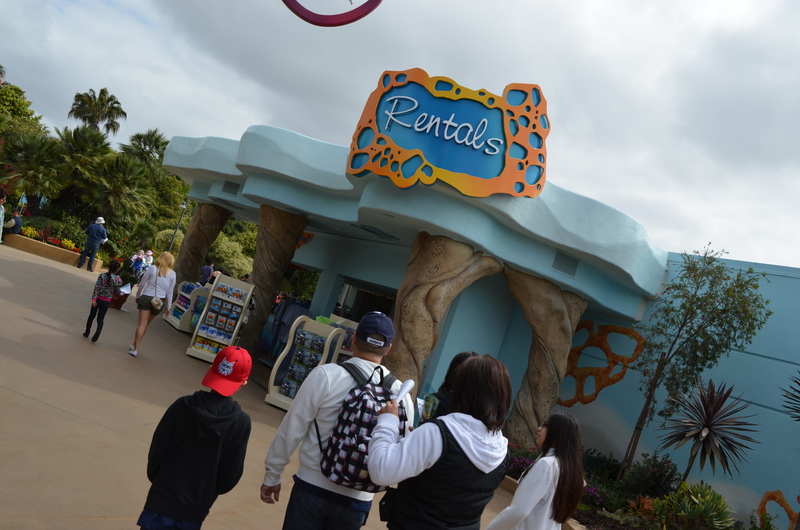 Across the pathway is where guest can rent strollers and purchase sundries. 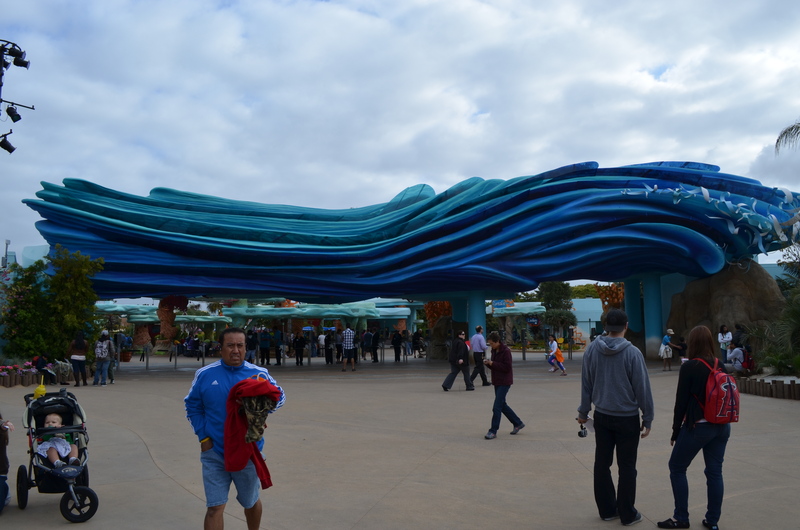 This is the backside of the massive wave entrance. 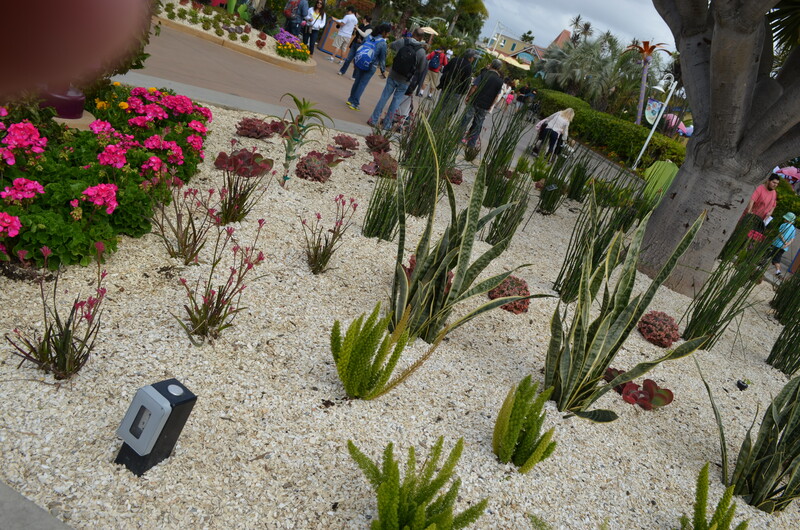 The landscaping is very immersive as it resembles seaweed. 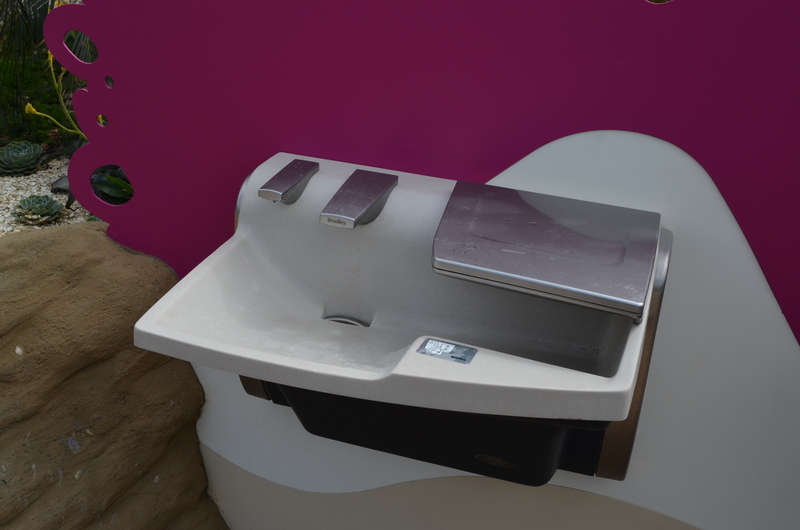 Here are the sinks and driers to get cleaned up after exploring the touch pools. 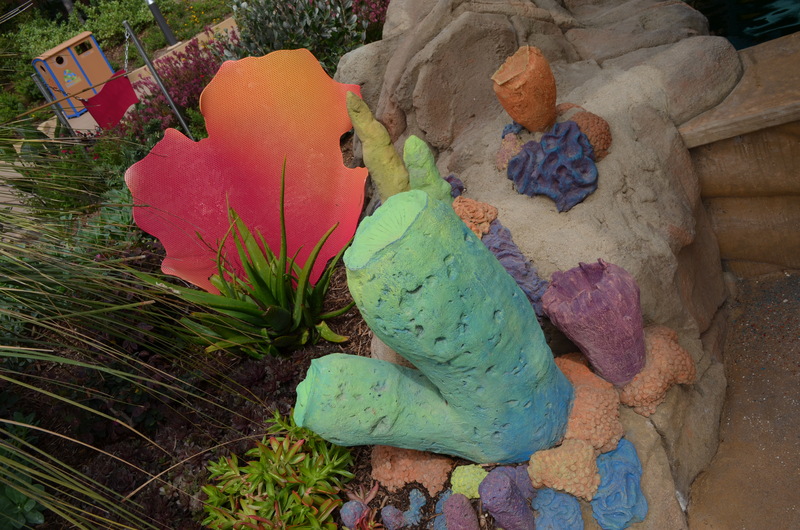 This is a fantastic section of the coral in the planters that help immerse you into the ocean floor. 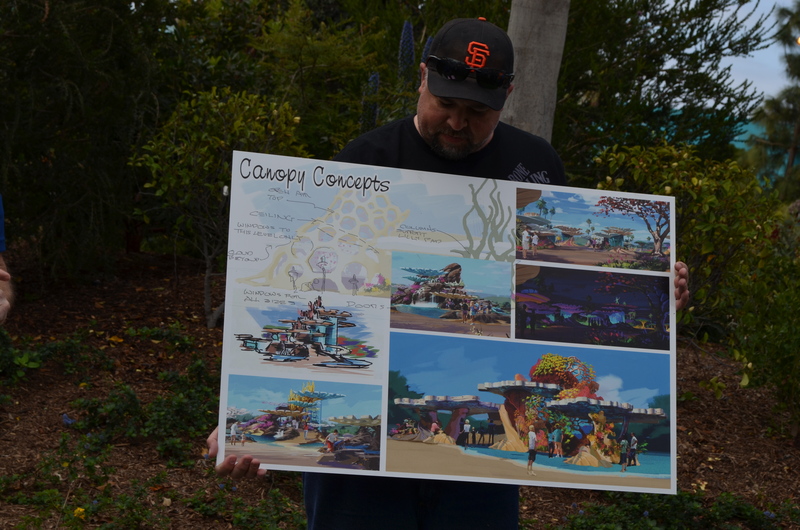 Now here are some never before seen concept designs and art for Explorer’s Reef that were presented by Brian!!! 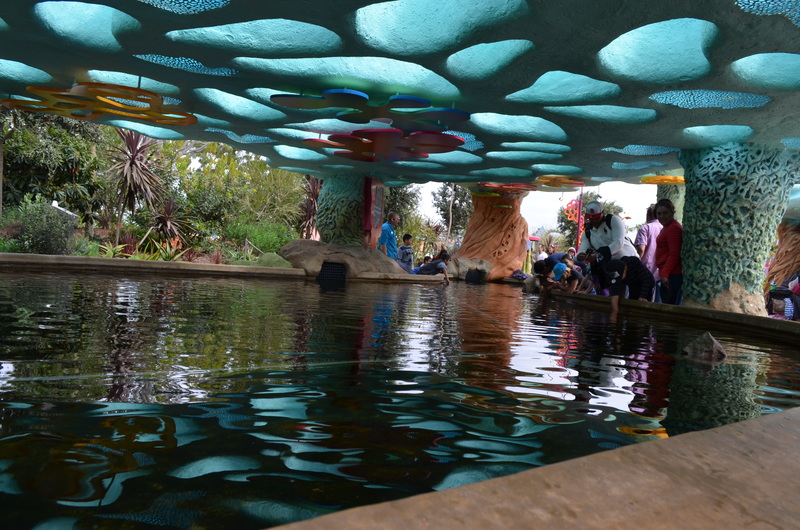 Please click on each image to see all the fabulous detail. 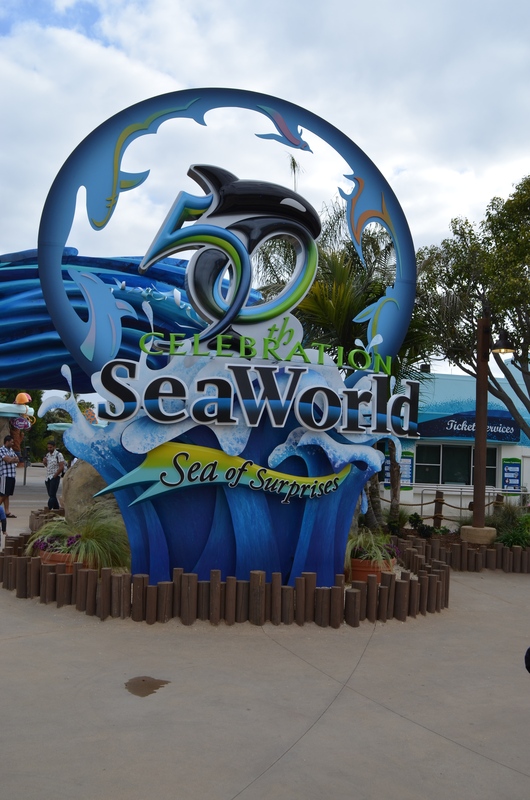 This is a fantastic addition to SeaWorld San Diego as they move to the next 50 years. 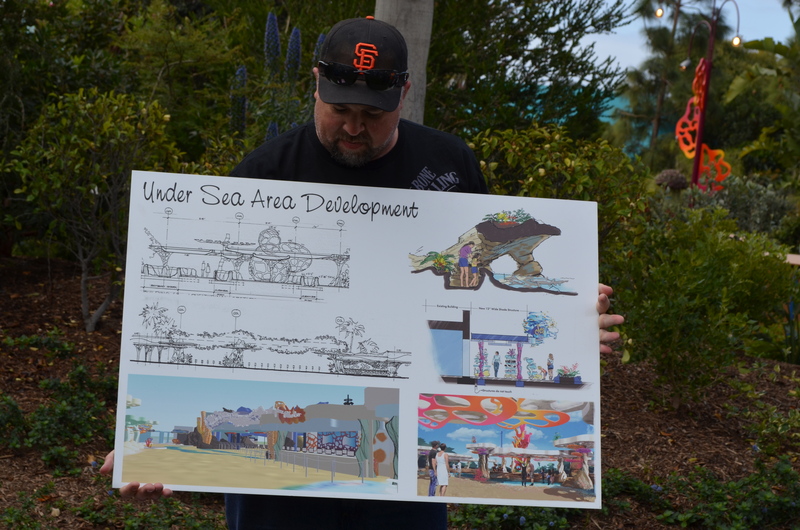 I can’t wait to see what Brian and his team have up their sleeves for the future. 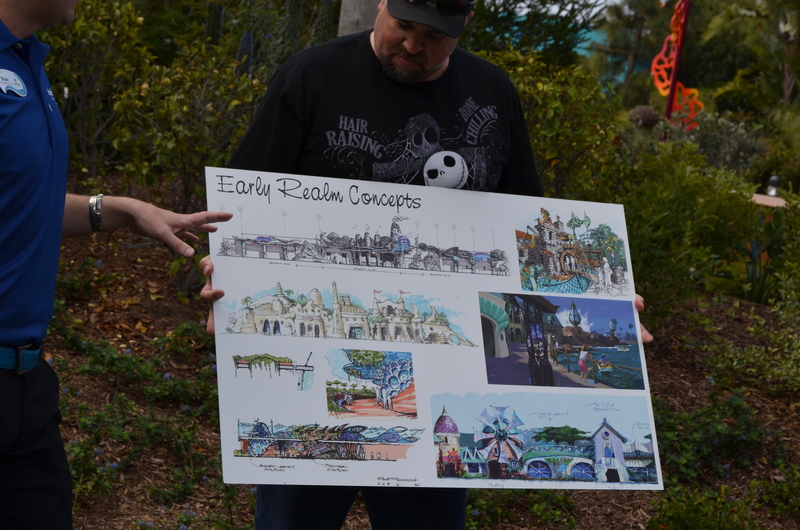 You can follow me on Twitter and Facebook to get a look at some models I’m creating and parks I’m visiting. 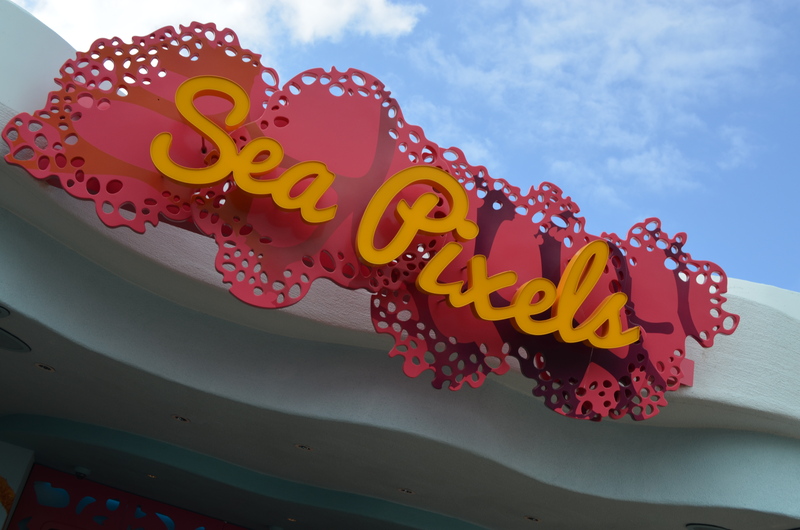 I sadly forgot to get pictures and video at night. 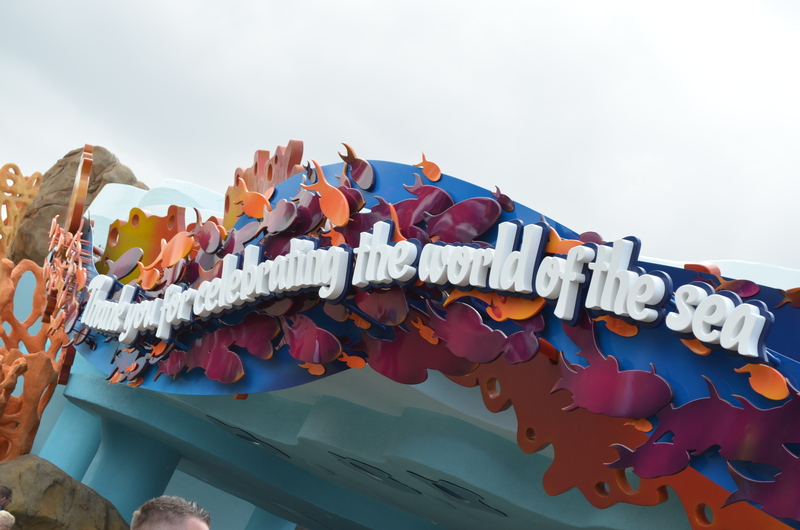 Next time I go I will film a video for sure!